Idols SA Judge Unathi Msengana hit back after electricity cut off over R166,678 debt. Sunday Sun reported that the TV star's electricity was apparently cut off because she allegedly has an outstanding bill amounting to R166‚678. Unathi shared a screenshot of the report along with her latest bill from City Power‚ which shows that she owes an amount of R2623‚53. She also re-posted a video she initially shared two weeks ago‚ where she slammed City Power officials for refusing to show identification when they arrived at her home to conduct a meter reading. "I guess the thought never occurred that I would release my own papers to prove that the Sunday Sun and @cityofjoburg are bullies and have done this to me. First pic is my monthly statement. Due 31st Jan. Due amount R2623‚53. On the left today’s article in the Sunday Sun with information the paper received directly from City of Joburg. I have passed this on to my legal team." 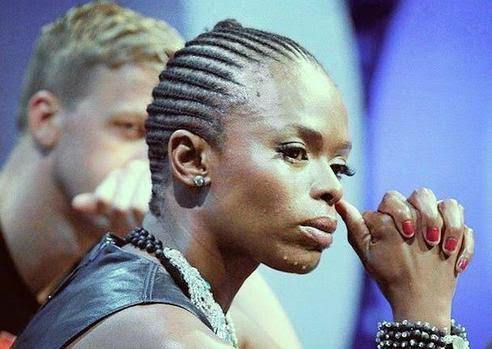 Unathi added that she would not "bullied" and that the lights were definitely on in her home. "I will not be bullied for posting the video that I did. I have posted it again so that South Africa knows how you treat women who know they have a right to complain.PS I’m sitting in my house as I post this and my lights are on." Meanwhile‚ City Power spokesperson Isaac Mangena told Sunday Sun that their contractors were apparently "patient and polite" and provided identification.